Good morning readers! 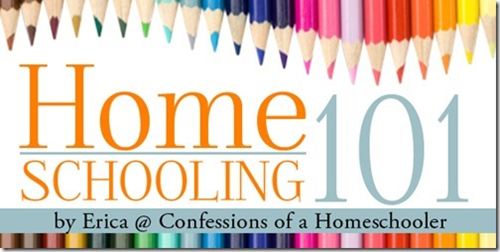 I have another post in my Homeschooling 101 series! Since we talked about choosing homeschool curriculum in the last post, today we’re going to talk about where to get all of that fun curriculum! Next, add prices next to each item so you can see what the cost is if you’re buying new, as well as research prices online for used items whenever possible. Having a document with all of your prices comes in very handy when searching to purchase curriculum online or at a used curriculum fair. Make sure to include what the current version of that curriculum is as well. This will also be helpful when searching for products. So where do I purchase my curriculum? I have a variety of sources, but whenever possible I purchase used homeschool curriculum. Of course workbooks and consumables have to be new each year, but teachers manuals, books, readers, and other supplies can definitely be reused to help save on costs. Used Curriculum Fairs: My number one purchasing spot is at our annual used curriculum fair. I take my handy price sheet with me, so that I can easily decide if the cost of the used item is a good deal or not. It also helps in bartering with the seller. I typically purchase teacher’s manuals for my oldest student at the used fairs as well as any other fun items that will benefit our homeschool. I HIGHLY recommend taking a list with you, as it’s very easy to get overwhelmed with the amount of products found at a used fair. When buying used, make sure to determine if you can get associated workbooks for older versions of curriculum before purchasing. State Homeschool Conventions: An online search should reveal any state homeschool conventions in your vicinity. Conventions typically include helpful seminars for homeschooling families as well as used and new curriculum sales. 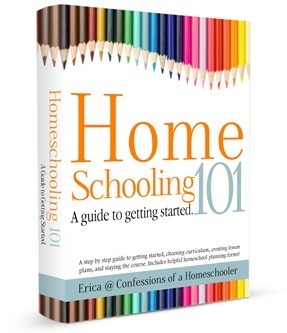 Talking to vendors and other homeschoolers can be very helpful in selecting your curriculum. Bookstores: Most bookstores have a children’s area that will include educational materials. This is a great place to see some of the materials in person; however prices are usually higher here. I typically examine potential materials here, but then order online for a better price. Online Purchasing: There are several online websites where you can purchase homeschool curriculum and books. Some of my favorites are Rainbow Resource Center and Christian Book. I’ve found many items at quite a discount compared to purchasing them new or at a fair. Of course major sites such as Amazon and eBay are always a good spot to check for pricing as well as reselling your own used items. Another great resource for used items is Homeschool Classifieds where other homeschoolers buy and sell their used curriculum. Buying New vs. Used: I do my best to get anything for the upcoming year used if possible. I typically purchase all of the Teacher’s Manuals for my oldest student, and then gather the consumables for the rest of the students. Since I will re-use those same Teacher’s Manuals for my younger children when they are older, the only thing left to is gather workbooks and consumables that will have to be purchased new each year. So cost wise I’m really only making major curriculum purchases for one student each year. Think of it as homeschooling hand-me-downs. I also make sure to keep track of the cost I end up paying for everything as I go, so that I have a record showing what I’ve spent on curriculum for each year. This will help in planning your budget for future years. Don’t forget to add in those random purchases made throughout the year as well, so your cost assessment is accurate. Keeping track of your costs will also come in handy if you ever decide to sell or trade your curriculum in the future. Once each of your curriculum is acquired check off the box stating that you’ve actually obtained the curriculum so you don’t accidentally repurchase! Our Homeschool: Here is a list of posts on our curriculum choices, our schoolroom setup and our daily schedule to help give you an idea of how we do things over at the Confessions home. Disclaimer: I am not a legal attorney, nor do I have a degree in law. The information contained in this post is what I have gleaned from my own research and should not be taken as legal advice. If you have any questions regarding homeschooling, please refer to the laws in accordance with your own state, or seek professional legal counsel. I am having trouble using homeschool handmedowns. My oldest daughter is in 2nd and my second is in kindergarten and already I’m seeing that I need a different approach than what worked for my daughter…. And then I can see how my 3rd and 4th children are each different too. I hate to spend more money but part of the blessing of homeschooling is conforming to their educational needs… Any suggestions? Thanks! Hey rachel, I have had that problem for some time now myself. One thing I found was this publisher called I think christian liberty press. They publish stuff and sell it prety cheap. I sometime just buy one book and multiple tests for multiple children 🙂 Not sure they like it but it save me some money. I wanted to share with you our new homeschool curriculum website called Homeschool Trader.com. It is a new, easy-to-use site to find and sell used homeschool curriculum for free. We also have some subscription offerings for those who choose to place many listings. Please take some time to learn more about us at http://www.homeschooltrader.com. I was wondering where you purchased the Home school art studio dvd and art supply list? I am looking for the best deal without spending a fortune on supplies. Your help is appreciated and thank you for your support. They sent us the DVDs for review, and I usually purchase my supplies at some place like Michael’s where I can use a coupon. But I’m always looking for good deals on art supplies since we go through so many. I’m not sure about finding a better deal on the DVDs other than purchasing from their website. You might check the BUY/SELL/Trade section on the COAH Community, eBay, or Homeschool CLassifieds to see if anyone is selling them used.